IUPUI's Peter Schubert co-authored the latest Indiana Climate Change Impacts Assessment report, "Climate Change and Indiana's Energy Sector," released in February 2019. A video from Purdue's Climate Change Resource Center highlights key findings of the report, the eighth report released by the Indiana Climate Change Impacts Assessment. You are cordially invited to celebrate the 2019 Student Research and Engagement Day, an IUPUI 50th Anniversary Event Celebrating Excellence in Student Research and Engagement at IUPUI. 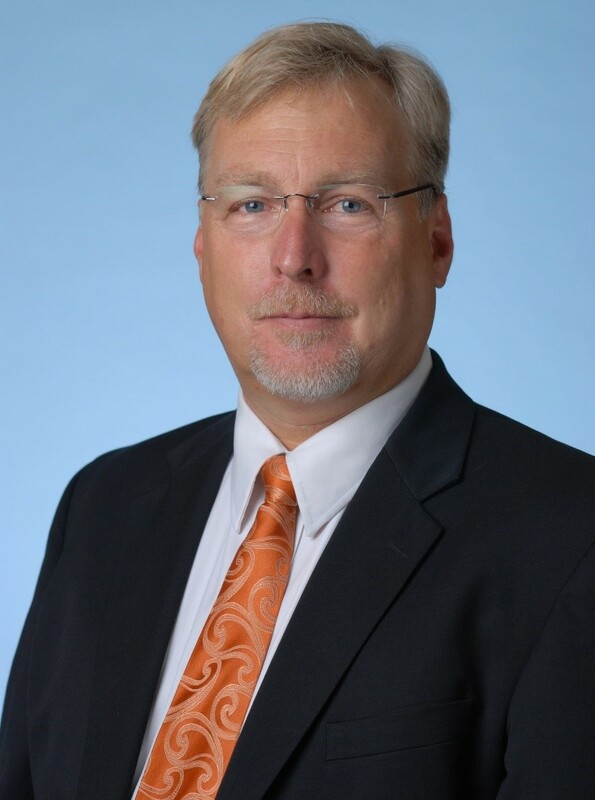 Our keynote speaker for the event is Danny Brassell, Ph.D. Morning Plenary: 9:30 a.m. - 10:45 a.m.
Come join Danny as he examines the importance of student engagement and reviews ways to promote it. You’ll learn the three essential elements of engagement (cognitive, social & emotional engagement), as well as research-based, classroom-tested ways to encourage increased engaged learning. Get ready to sing, dance and laugh in this highly interactive presentation. The celebration doesn't end with our keynote address. Together with our campus partners, we have a whole day of exciting activities planned! Learn how our students are creating original works of art, pitching entrepreneurial ideas, studying globally and getting involved with our local community, and gaining real world experience through research and internships. While you're with us, enjoy the sounds of several IUPUI electronic music artists, listen to a visiting student brass quintet, snack on popcorn, and talk to representatives of the many student clubs and chapters who are joining us for the day. We hope to see you through 5 p.m. in the Campus Center! 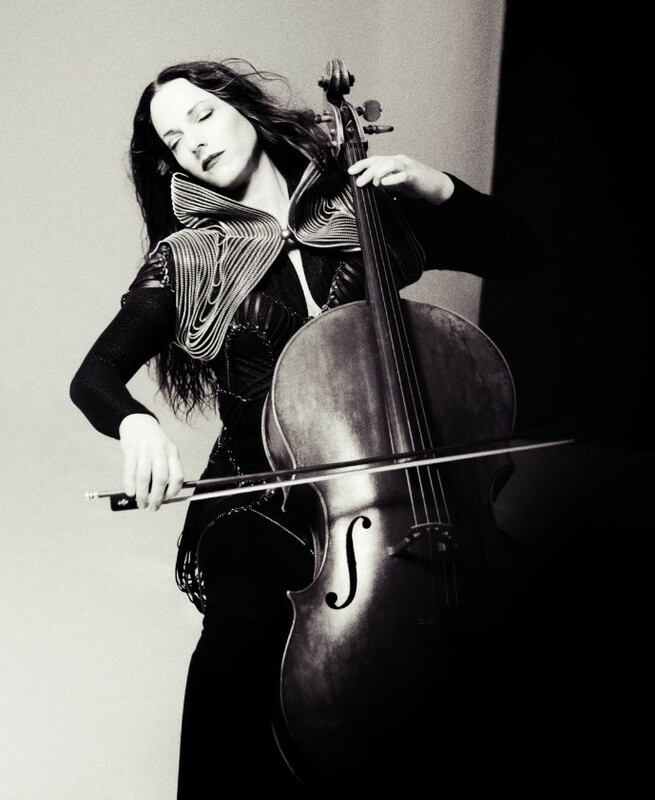 Maya Beiser will perform selections from cello-opera "Elsewhere"
Beiser will perform excerpts from her cello-opera, “Elsewhere,” an imaginative and psychological retelling of the biblical story of Lot’s Wife. This performance is the concluding event of Pillars of Salt, the 2019 exhibition of the Religion, Spirituality, and Arts program of the IUPUI Arts and Humanities Institute. It is offered in partnership with the Center for Interfaith Cooperation; the Judaism, Arts, Interfaith and Civic Engagement Fund of Congregation Beth-El Zedeck; Indiana Humanities; and the Jewish Community Center of Indianapolis. The 2018-19 Religion, Spirituality & the Arts Seminar programming is made possible by a generous grant from Lilly Endowment, Inc. and is offered in partnership with Christian Theological Seminary and the Jewish Community Center of Indianapolis. The IUPUI STEM Education Innovation & Research Institute(SEIRI) will present its Inaugural SEIRI Seed Grant Symposium on April 25, 2019, 2:00 pm - 5:00 pm. Hosted by Founding Executive Director Pratibha Varma Nelson, the symposium will feature a showcase of innovative projects implemented by STEM faculty funded by SEIRI Seed Grants. The SEIRI seed grants program is a competition that facilitates and supports STEM education innovation and research. Specifically, this opportunity provides funding to faculty members to develop, implement, and evaluate the impact of pedagogical innovations across multiple IUPUI STEM courses. The projects are eligible for an award of up to $30,000 each. "The SEIRI seed grant, or SSG, program unites researchers across various STEM disciplines and supports them as they work toward the common goal of improving pedagogy across IUPUI undergraduate and graduate courses," said Annwesa Dasgupta, a postdoctoral researcher at SEIRI. SEIRI serves as a hub for science, technology, engineering and mathematics education innovation as well as research, evaluation and consultation. It runs as an independent unit under the Office of the Vice Chancellor for Research in collaboration with four schools: Science; Engineering and Technology; Informatics and Computing; and Education. All STEM faculty are invited. Refreshments will be served. A population health study from IUPUI and the Regenstrief Institute has identified striking socioeconomic and racial disparities in health behavior and in the receipt of cancer screening in the 34 Indiana counties with cancer death rates higher than the state's average. Overall, the state of Indiana ranks high -- 11th nationally -- in cancer deaths. All are welcome to attend the following spring events that are planned and hosted by IAHI. What are the effects of poetry and music on the mind and the body? Where do art and medicine meet? 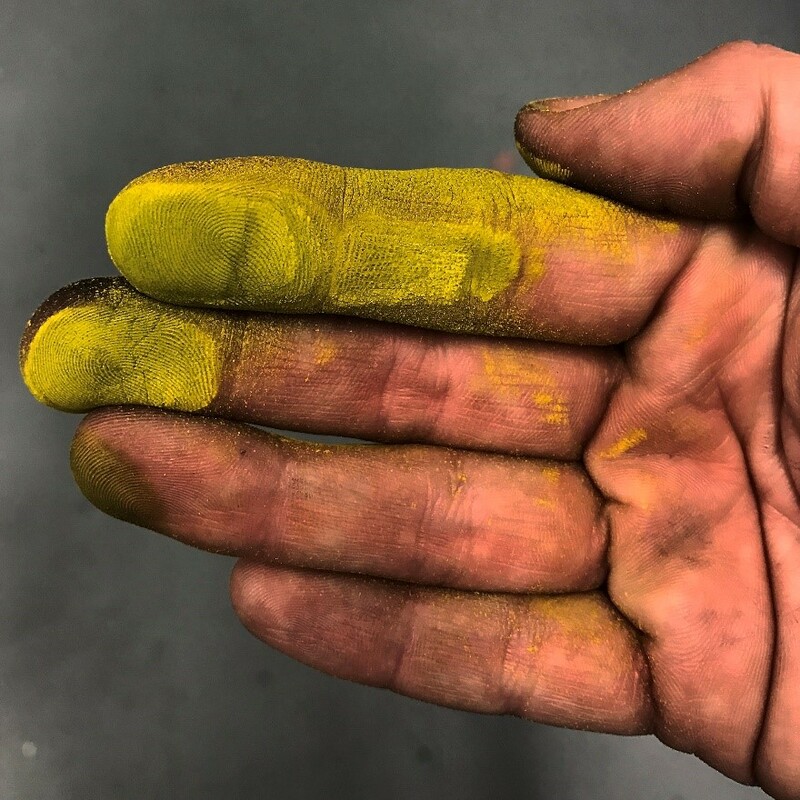 Join the conversation with IUPUI Arts & Humanities Institute about the intersection of Art and Medicine with Adrien Matejka, Nate Marshall, and Eileen Misluk on March 26, 2019, 7:30-9:00 pm at The Athenaeum, 401 E. Michigan St, Indianapolis, IN 46204. Click here for free tickets. What do we mean when we use the word "equity"? How do we build an equitable society? Join the conversation with Jelani Cobb, Negin Farsad, and Jeff Chang about Equity in Modern America on March 28, 2019, 7:30-9:00 pm at The Athenaeum, 401 E. Michigan St, Indianapolis, IN 46204. Click here for free tickets. Jeff Chang is author of Can't Stop Won't Stop: A History of the Hip-Hop Generation and We Gon' Be Alright: Notes on Race and Resegregation. Equity in Modern America is presented by the IUPUI Arts & Humanities Institute, the Kheprw Institute, the Central Indiana Community Foundation, Indiana Humanities, the Kurt Vonnegut Museum and Library, and the IUPUI Division of Diversity, Equity and Inclusion. Support for this event comes from the Indiana University New Frontiers in the Arts and Humanities grant program. 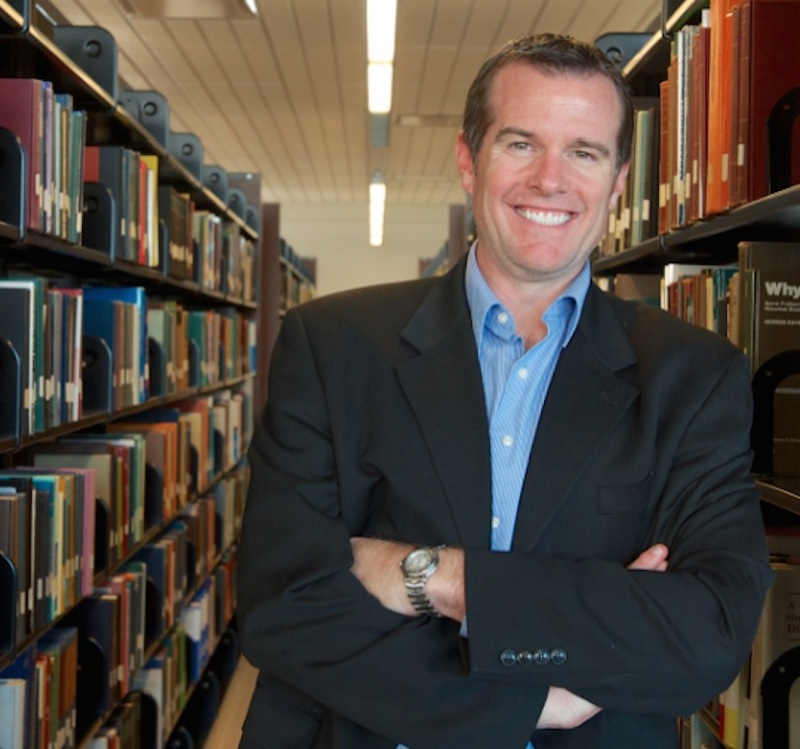 Join the conversation about the climate crisis with Ed Fallon on April 1, 2019, 6:00-7:00pm at IUPUI Campus Center, Room CE 406, 420 University Boulevard, Indianapolis, IN 46202. Click here to register for free tickets. Ed Fallon is an American activist, politician, talk show host, and author. He served as a member of the Iowa General Assembly from 1993 to 2006. On March 1, 2014, Ed Fallon set out with fifty other climate activists on the Great March for Climate Action. The march spanned eight months, starting in Los Angeles and finishing in Washington, DC. 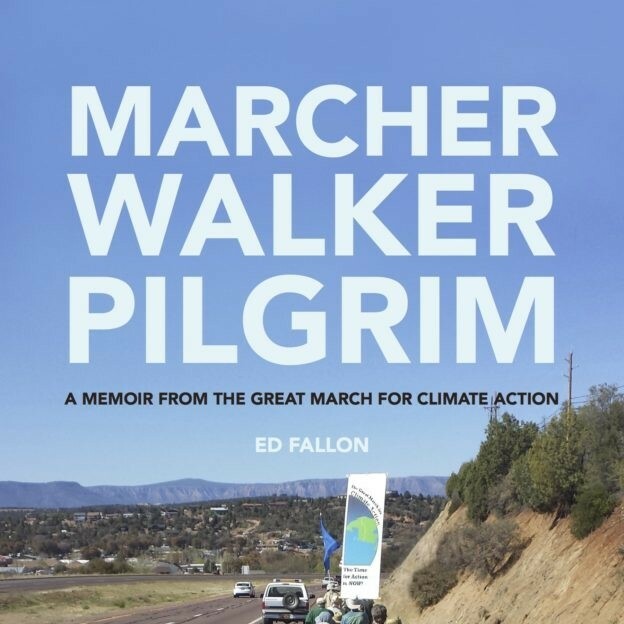 Five years after the march, his new book Marcher, Walker, Pilgrim tells the story of their journey. Co-sponsored by IUPUI Arts and Humanities Institute (IAHI) and the IUPUI Office of Sustainability and Earth Charter Indiana. Join Donato Esposito’s lecture and conversation on April 2, 2019, 5:30 – 6:30pm at the IUPUI Arts & Humanities Institute, IUPUI University Library (UL 4115P), 755 W Michigan St, Indianapolis IN 46202. 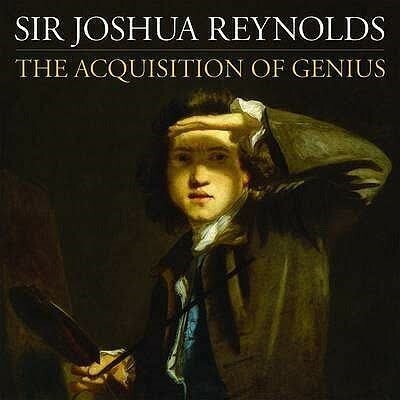 This lecture on the works of Sir Joshua Reynolds by Donato Esposito explores some key aspects of Reynolds’ collection, how it was displayed at his London home, and the motivation for its creation. Click here to register for free tickets. Sir Joshua Reynolds (1723–1792) was a towering figure in British art of the eighteenth century, and beyond. Over the course of his busy and productive career he found time to amass an extraordinary art collection encompassing thousands of paintings, prints, drawings, and books. Sold after his death in 1792, his collection is now widely dispersed across the world, including several artworks now in the Indianapolis Museum of Art. Donato Esposito is an academic and curator who specializes in 18th- and 19th-century art, collecting and taste. From 1999 to 2004 he worked as Curator in the Department of Prints and Drawings, British Museum and was the 2012-13 Andrew W. Mellon Fellow at the Metropolitan Museum of Art, New York. Join the IUPUI Arts & Humanities Institute on April 4, 2019, 4:00-5:00pm in the IUPUI University Library (UL 4115P), 755 W Michigan St, Indianapolis IN 46202, for a special gathering of the Public Art and Ethics Seminar to discuss Nina Elder’s newest installation, The Score. This artwork was commissioned as part of the IU Grand Challenges "Prepared for Environmental Change" project in partnership with City State. Click here to register for free tickets. Nina Elder is an artist, adventurer, and arts administrator. Her work focuses on changing cultures and ecologies. Through extensive travel and research, resulting in meticulous drawings and interdisciplinary creative projects, Nina promotes curiosity, exploration, and a collective sense of stewardship. Nina advocates for collaboration, often fostering relationships between institutions, artists, scientists and diverse communities. She is the co-founder of the Wheelhouse Institute, a women’s climate leadership initiative. Nina lectures as a visiting artist/scholar at universities, develops publicly engaged programs, and consults with organizations that seek to grow through interdisciplinary programing. Nina’s artwork is widely exhibited and collected and has been featured in Art in America, VICE Magazine, and on PBS. Her research has been supported by the Andy Warhol Foundation, the Rauschenburg Foundation award for Arts & Activism, the Pollock Krasner Foundation, and the Mellon Foundation. She is currently an Art + Environment Research Fellow at the Nevada Museum of Art, a Polar Lab Research Fellow at the Anchorage Museum, and a Researcher in Residence in the Art and Ecology Program at the University of New Mexico. The IU Grand Challenges “Prepared for Environmental Change” project positions Indiana to combat the growing threats caused by extreme and unpredictable weather patterns and environmental changes that result. It brings together a broad, bipartisan coalition of government, business, nonprofit, and community leaders to help Indiana better prepare for the challenges that environmental change brings to our economy, health and livelihood. This event is supported by the IU Grand Challenges “Prepared for Environmental Change” project; the IU Consortium for the Study of Religion, Ethics and Society; and City State.
" Women Give 2019 highlights the universality of giving. Women in communities of color may take different pathways to their philanthropy—learning from their families or religious traditions, or starting to give later in life. 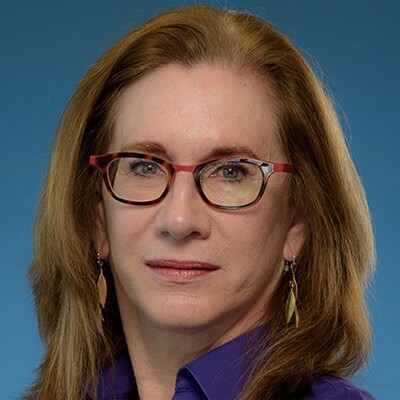 But the act of giving their time, talent, and treasure is consistent for women across race and ethnicity," said Debra J. Mesch, Ph.D., the Eileen Lamb O’Gara Chair in Women’s Philanthropy at the Indiana University Lilly Family School of Philanthropy at IUPUI. "This year’s Women Give report raises awareness that the generous philanthropy that takes place in diverse communities often goes unrecognized. 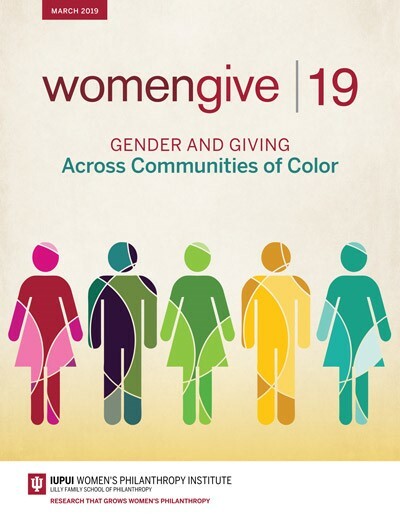 Women in communities of color can see themselves and their experiences reflected in this empirical research about generosity. 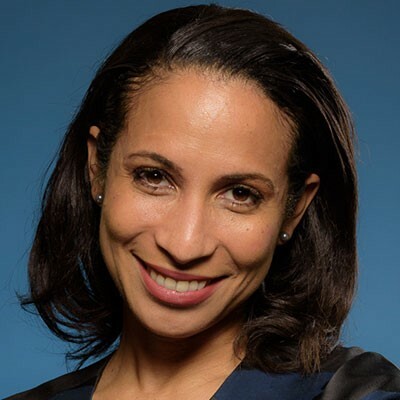 To overcome outdated stereotypes of who a philanthropist is, the philanthropic sector must be more intentional about embracing and including diverse perspectives and approaches," said Una Osili, Ph.D., associate dean for research and international programs and dean’s fellow for the Mays Family Institute on Diverse Philanthropy at the Lilly Family School of Philanthropy. About the Indiana University Lilly Family School of Philanthropy The Lilly Family School of Philanthropy at IUPUI is dedicated to improving philanthropy to improve the world by training and empowering students and professionals to be innovators and leaders who create positive and lasting change. The school offers a comprehensive approach to philanthropy through its academic, research and international programs and through The Fund Raising School, Lake Institute on Faith & Giving, the Mays Family Institute on Diverse Philanthropy and the Women’s Philanthropy Institute. Follow us on Twitter @IUPhilanthropy or "Like" us on Facebook. 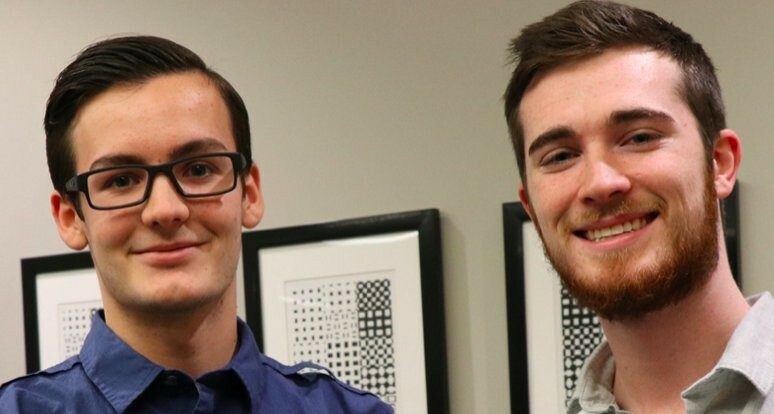 Vemity was founded by Boynton along with fellow IUPUI student, and Chief Technology Officer, Zachary Balda, and the company launched its platform a year ago. Indianapolis-based supply chain finance and factoring company Rover180 recently acquired the startup. The company says the technology created by Vemity will cut costs associated with invoicing and accelerated payments for the transportation industry. Vemity specializes in artificial intelligence automation and machine learning. Rover180 says integrating Vemity's technology will reduce time and effort associated with processes such as three-way matching in payment processing. "We pride ourselves on being at the forefront of innovation in the finance industry. By capitalizing on the advances happening with artificial intelligence, we can add smarts around accelerated payments for our clients," Eric Meek, board member for Rover180, said in a news release. "Vemity's autonomous machine learning model harnesses often overlooked data to reduce manual work, improve invoice accuracy, and increase payment velocity for buyers and vendors along the supply chain." One of Rover180's affiliate partners, Indianapolis-based FreightRover LLC, has signed on to offer Vemity's AI platform to clients through its supply chain management technology suite. Vemity Chief Executive Officer Brandon Boynton says, "Opportunities like this are why we created Vemity." A local nurse has developed a medical device to help people with sickle cell disease, thanks to expertise from the Indiana Clinical and Translational Sciences Institute (CTSI). 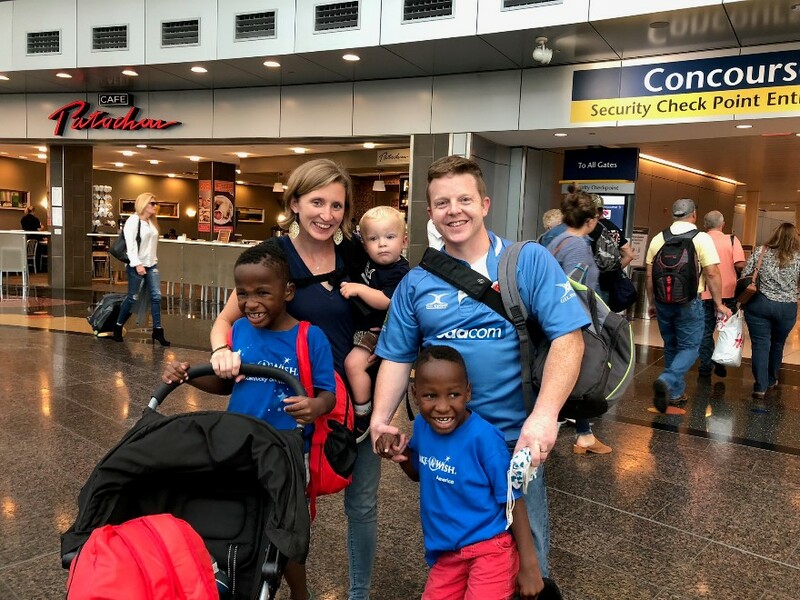 Abi heard about the Indiana CTSI's Clinical Care Innovation Accelerator from her husband, who had recently attended one of Merrell’s presentations, and she quickly reached out to Merrell about what she could do to start working on a solution. With Merrell's help, Abi has invented a clear, enclosed cover, which she has dubbed Guard-a-Port, to protect Ivan’s port site. She developed prototypes, first, with Play-doh and then with help from mechanical engineering students at IUPUI, who used a 3-D printer to produce a plastic version of her design. Then, Merrell worked with local vendors to 3-D print a the clear version they have today. Abi and Merrell are currently working on ideas for how to bring the new medical device to market. Watch the video to learn more about Abi and her invention. NATIONAL INSTITUTE OF CHILD HEALTH, HUMAN DEVL.